Manchester United host Bournemouth at Old Trafford this evening looking to bounce back from Sunday’s derby defeat. We start the evening in second place, level on points with Chelsea who were 3-1 winners at Huddersfield Town last night. This evening’s visitors are down in 14th and only three points above the relegation zone. 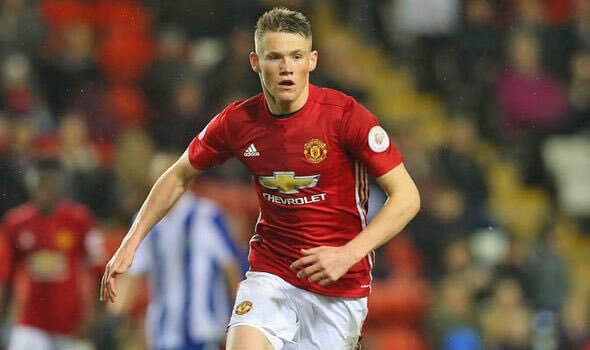 Youngster Scott McTominay makes only his second-ever Premier League start as Ander Herrera drops to the bench and Paul Pogba serves the second of his three-match ban. Marouane Fellaini is not fit to make his return to the matchday squad just yet. Phil Jones makes his return in central defence to partner Chris Smalling as Marcos Rojo is out after suffering a head injury on Sunday. Victor Lindelof and Daley Blind are the defensive options from the bench. Luke Shaw makes his first Premier League start of the season after impressing in the Champions League a week ago following a lengthy lay-off. Juan Mata returns to play on the right of a 4-2-3-1 formation as we predicted earlier today, and Jesse Lingard keeps his role as the number 10. Zlatan Ibrahimovic is fit enough to be named among the substitutes whilst Romelu Lukaku keeps his place up front despite a disappointing performance last time out. You can follow the game in-play with Football Live Scores. Former-Chelsea goalkeeper Asmir Begovic starts for the visitors and fellow former Blue, Nathan Ake is part of a back four for Bournemouth. Simon Francis used to a right-back but spends most of his time in central defence these days. Eddie How has gone with a flat four in midfield which includes pace down both wings. Antonio Valencia needs to be careful of Ryan Fraser who goes down easily inside the penalty area. Former Manchester United youngster Joshua King will play more of an attacking midfield role behind Callum Wilson as the experienced Jermain Defoe is only named on the bench.